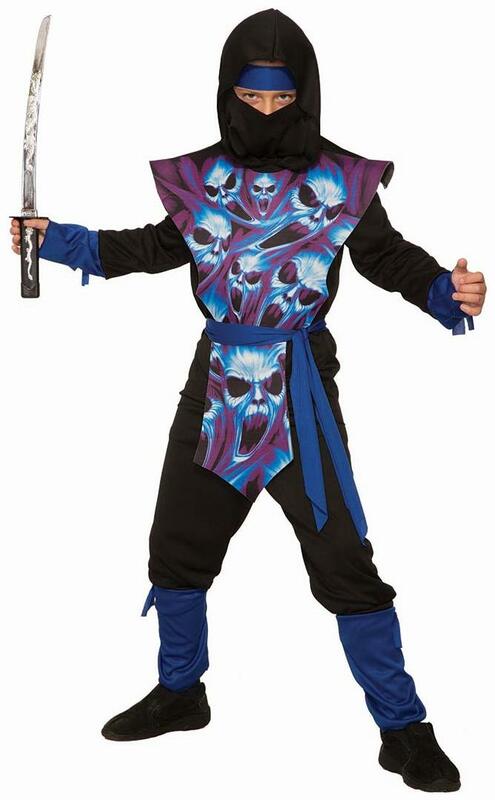 Your child will have fun this Halloween dressed up as a Ghost Ninja! 100% polyester costume includes a hooded shirt, face mask, tabard with ghostly skull print, pants and belt. Sword NOT included, sold separately. Made by Forum Novelties, a leader in costumes and novelty products for more than 30 years.